So it’s been nearly 4 Months since you heard from me last and I thought it was about time for an update. Since early December I’ve been in the process of moving which as you may have guessed has put a damper on the bar considerably. I went from a strong 36+ bottle set, to a set of 1 (and some extras that no one uses anyway…like Campari.) In the process of moving from July to December I scaled back the home bar significantly, and now I’m starting from (near) scratch once again. The time in between however has allowed me to both learn and expand what I want this blog to contain. 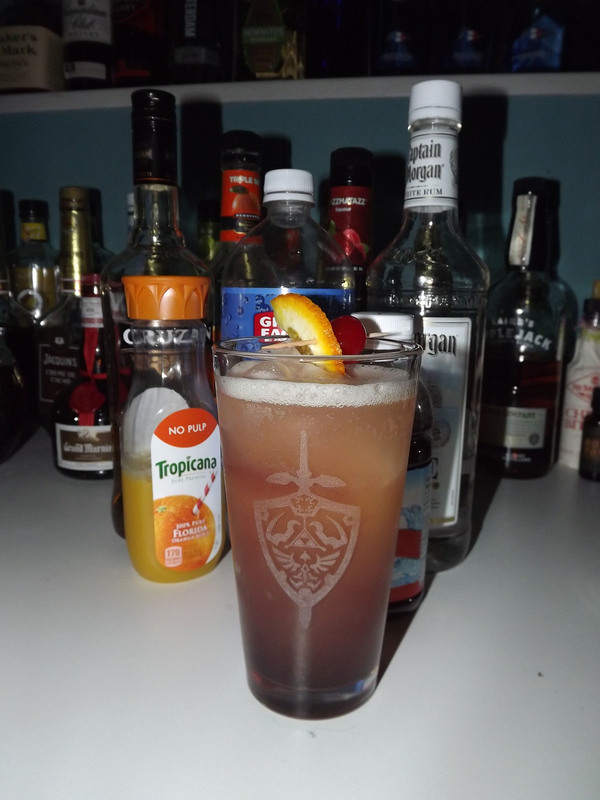 While I started this blog with the intention of introducing a new cocktail every week, it has become more of an outlet for culinary creativity in the “craft cocktail” realm. 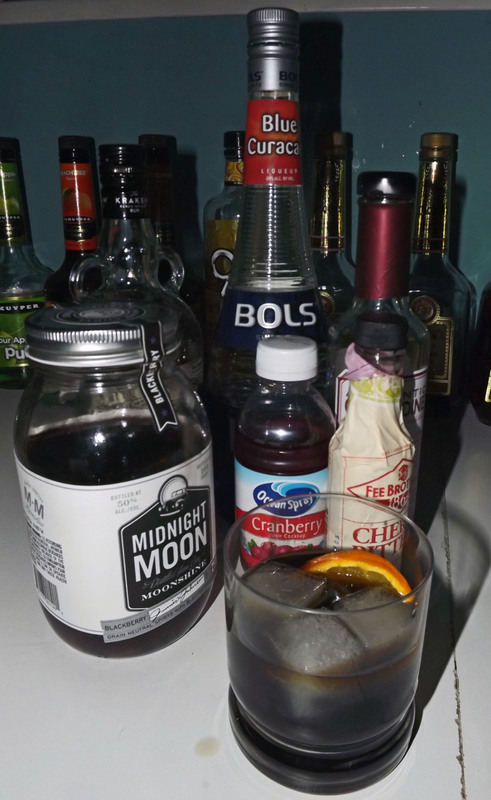 My exploration of good and near perfect cocktails, has lead me to pursue a set of drinks that is both fine in its quality of ingredients, as well as in its creation. From about 2015 on it has been less about “new” drinks and more about ones that I feel are worth highlighting. I want to talk briefly today about the garnishes in cocktail, specifically the use of mint or fruit in some drinks. I have found over time that I really relish the maraschino cherry, or lemon wedge in a cocktail, as it adds not only color and contrast to a drink, but a unique bit of sweetness before or after finishing the cocktail. Finishing a whiskey sour (as I type) and having an orange or lemon slice and a cherry to finish the drink feels oddly satisfying. Fruit garnishes go a long way to making a drink both presentable as well as making it more well rounded. Sucking on a lemon peel, or eating the pulp of an orange can make the taste of a drink really come to life! The “artistry” of craft cocktails is more than just spirits and bitters, but the garnishes as well! Don’t forget my fellow mixologists, that the garnish can be just as important as which whiskey you choose in your sours. 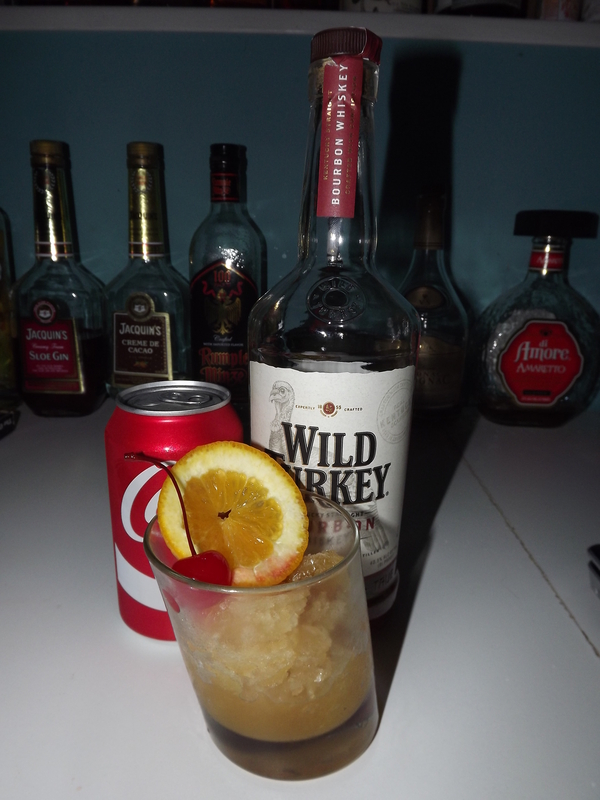 Yes, ok there’s tons of Bourbon Slush recipes out there, but I doubt you’ve ever had one like this! 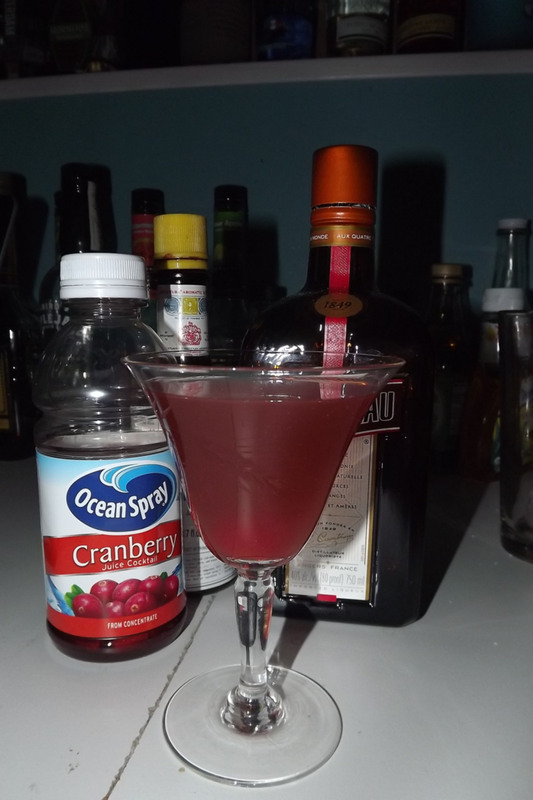 Instead of something from one of my regular cocktail books this is an old family recipe. 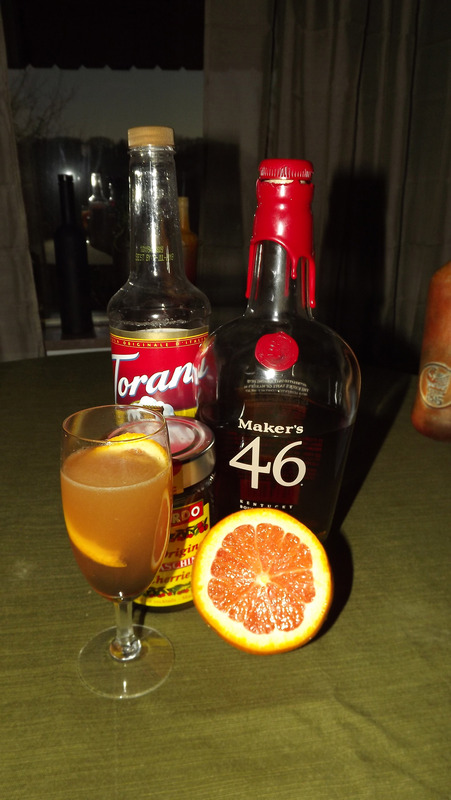 Sweet, a little sour, and a whole lot of bourbon this drink is the perfect summer drink for a crowd. You can’t make these in a smaller batch so get out a solid gallon tub to make this in! I’d talk more about the taste, but it’s just something you have to try for yourself. FYI though, don’t waste good bourbon on this, the cheap stuff works just fine. Mix ingredients in a large bowl. Be sure that sugar and juice concentrate have all dissolved. Freeze overnight. Scoop out with a spoon or ice cream scoop into the glass of your choice. (Optional) Tops with Coke or another soft drink of your choice (Sprite and Ginger Ale are great options). Garnish with Orange Slice and a Cherry. *Note do not use liquid or fresh juices. It’s designed to work with frozen concentrated juices. Today’s blending cocktail is probably my favorite thus far for the week. The Mediterranean Freeze is an interesting color, but is well complemented by the garnishes. The opening aroma is very orange-y making for a very inviting drink. 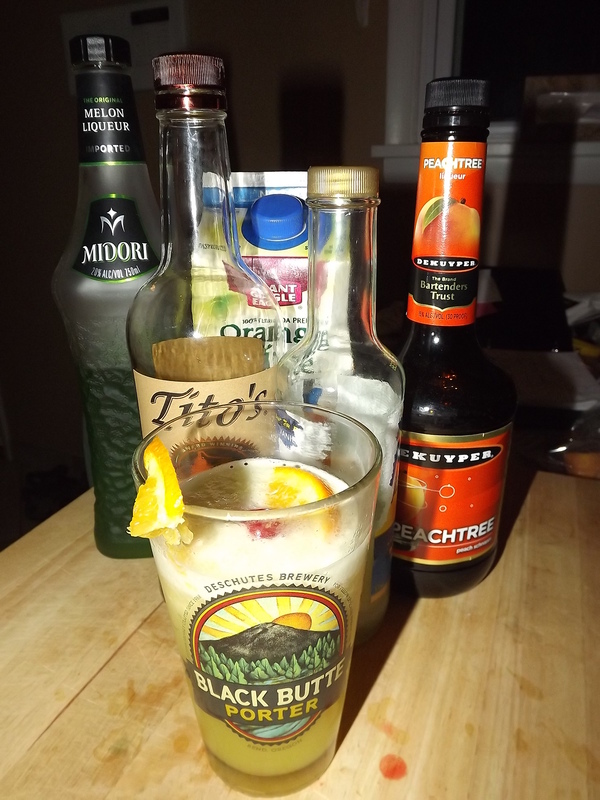 It starts off with the taste of a basic screwdriver (vodka and OJ), then moves to a sour citrus, then finishes with a subtle melon that keeps you going back for more. I wouldn’t say that the peach schnapps is lost in this drink, but it does lend itself to the overall sweetness in the first few sips. 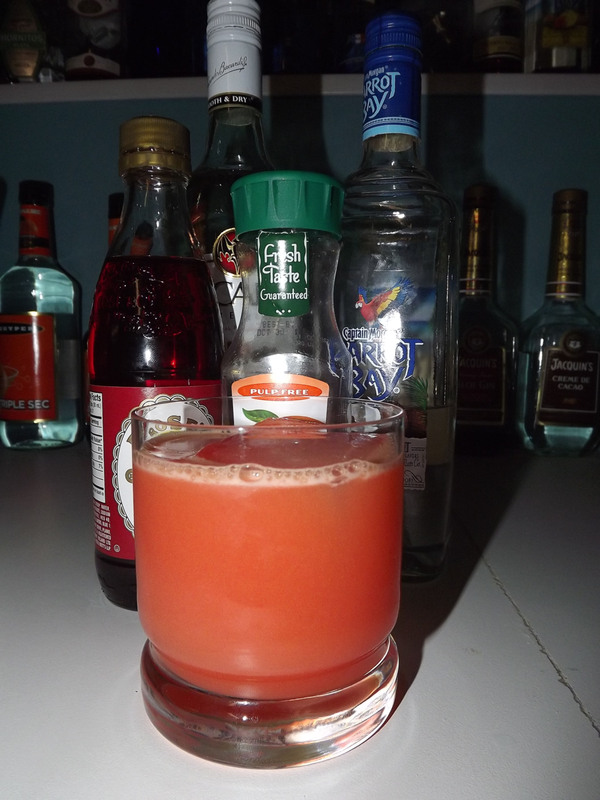 This is really solid blending cocktail and worth making again, perhaps in a larger quantity for a party. Blend liquid ingredients with ice, pour into a pint glass. Garnish with an orange slice and a cherry.